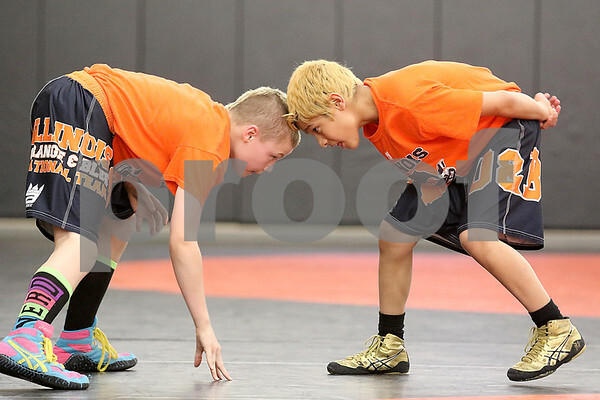 Damien Lopez (right), 11, and Bradley Gillum (left), 11, recently competed in the AAU National Elementary Duals in Tennessee. The team the boys were on took home the national title and both boys earned an all American status, going undefeated. Lopez and Gillum are seen here sparring during practice at the DeKalb Wrestling Club on Wednesday, April 22, 2015.